I love Florida water, it’s definitely one of the most versatile products you can think of. It has a wonderful unisex pick-me-up-smell, with its delightful, very natural citrus base. 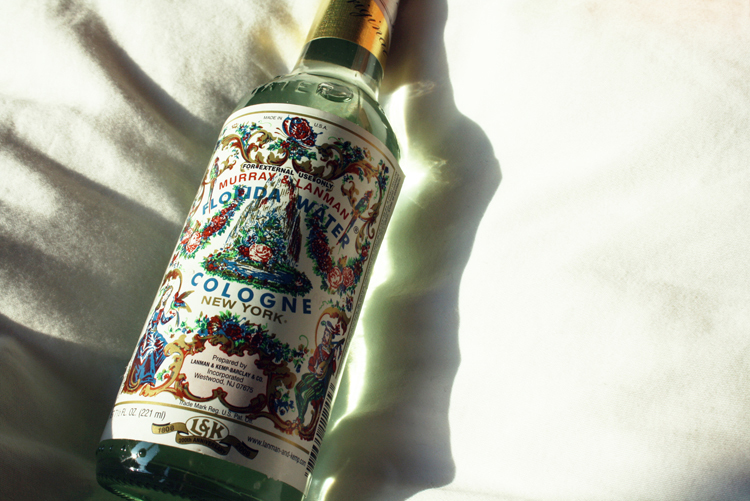 You can wear it as a cologne, use it as a room spray or to pleasantly scent your laundry. Oh, and above all: many people believe Florida water has spiritual powers and use it as some kind of holy water for cleansings, good luck and protection. This afternoon I used it as a real lifesaver when I was struck by an extreme headache. Aside from taking the obvious pain killer, Florida water helped me cope with the pain and ease the headache. I sprinkled just a little bit on my sarong and then went to bed with it. As I write this I feel a lot better already! I am sucker for all things vintage, so it’s no wonder that I adore Murray & Lanman’s Florida Water, which claims to have used the same formula since 1808. Want to buy this good stuff? I found this Florida water on the shelf at my Indonesian grocery store but I know in America you can get it at your local pharmacy. Posted in BeautyTagged cologne, Florida water, Headache, spiritual cleansingBookmark the permalink.